When you think of cool Modern Asian it-restaurants in Melbourne’s CBD the image that comes to mind first has to be a long and angry queue of people waiting outside. For me, it’s grossly unfair as I’m mad for Modern Asian. Thankfully though there is one particular little mod Asian CBD spot that has seen a gap in the Flinders Lane market and one can only guess they’re cashing in – THEY TAKE BOOKINGS. Unheard of. Bearing all this in mind I want you to kick things off at the ever impressive, ever packed Chin Chin. A Melbourne institution and for good reason. So confidently walk your date up to Chin Chin, glance at that queue and calmly pop around the corner, down Higson Lane and stealthy straight through the door of GO GO Bar. 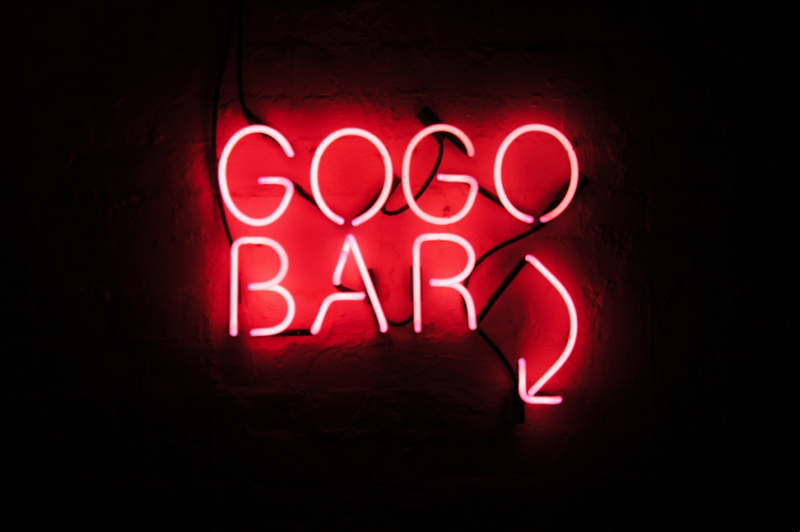 Go Go Bar is Chin Chin limbo, like the waiting room to a dental clinic where everyone is very attractive and slightly sedated in lovely social lubricant – cocktails! 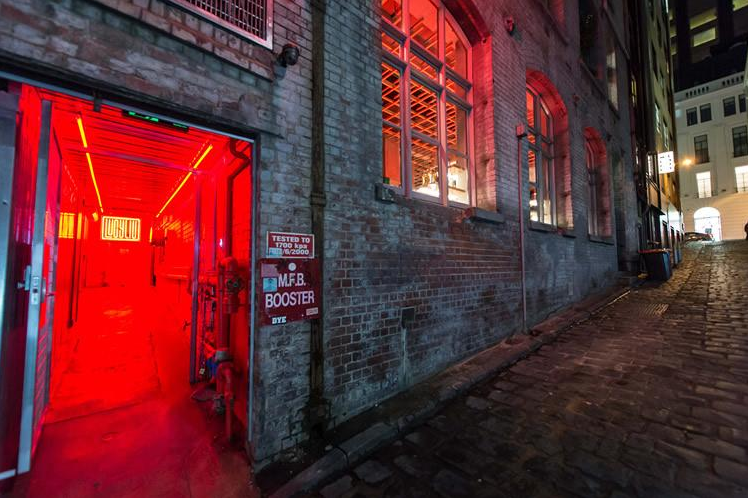 Let’s go through the 50FD’s checklist; laneway CHECK, obscure entrance CHECK, neon sign CHECK, ambience CHECK, knockout drinks list CHECK. Get into the mood of things with their Far East chilli vodka / kaffir lime number, sipping smugly while enjoying the atmosphere as the other punters wait for a text from upstairs. When you’re satisfyingly merry, leave on your merry way for the main event, just around the corner. Here you should go back T minus two hours, or perhaps two days as the success of this date relies on your forward thinking, and perhaps being a little presumptuous and booking a table at Lucy Liu. In a world of no-bookings policies, I found it awfully satisfying walking in at 7pm last week with my table for two waiting there for me. While you could enter from Russell Street, avoid the temptation and head down the cobblestoned Oliver Lane and enter through what looks like a backdoor. By this stage your date won’t have a clue where you are taking them, the only giveaway (and it’s a big giveaway) is the very cool Lucy Liu red neon light inside the entrance. Quite literally the tunnel, signalling delicious little share plates are moments away. Once inside your attention soon turns to bamboo, concrete and hologram menus, and loud house beats that make the place absolutely spot on for a date (no room for awkward silences). The food comes out quickly and deliciously with a mix of a little bit of everything from all that’s good in Modern Asian restaurants in Melbourne. Think oysters, eggplant & pork tempura, lovely little pork bao and some of the better dumplings in the Western world. With the mains, size does mater, some are huge so order wisely and take the advice from the friendly waiter. Normally I’m one to finish the date with a cocktail however doing things backwards this week I suggest finishing with a wine at Coda (which you walked past earlier in the night on Oliver Lane). Coda is another Modern Asian bar & restaurant that takes bookings, however they reserve the bar for walk-ins. So if your date still has one or two more drinks in them after leaving dinner, duck downstairs to Coda and saddle up at the bar for a night cap. It’s a little more intimate at Coda, the perfect setting to put the finishing touches on your date and hopefully work towards the fourth and final location… your place or theirs?